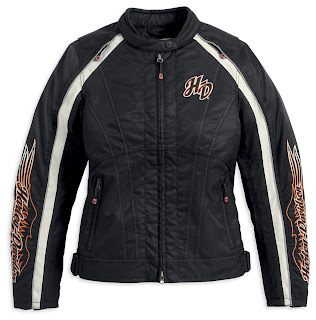 MILWAUKEE – The new women’s Juneau Functional Jacket (P/N 98215-13VW, starting at $195) from the Harley-Davidson® MotorClothes® line combines bold styling with ride-friendly features. 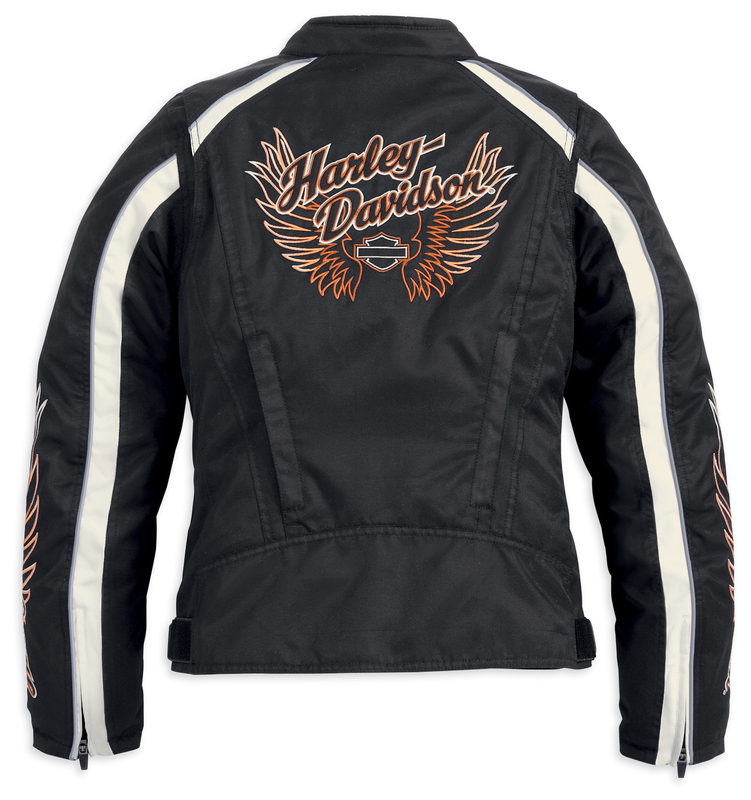 It’s constructed from waterproof 600 denier polyester that’s lightweight yet comfortably withstands the elements. Zippered vents on the shoulder and back offer custom core-climate control to complement its pre-curved sleeves and adjustable waist tabs. Pockets at the elbows and shoulders accept accessory armor for increased protection, while 3M™ Scotchlite™ Reflective Material delivers enhanced visibility in low light conditions. Available in XS – 3W sizes. 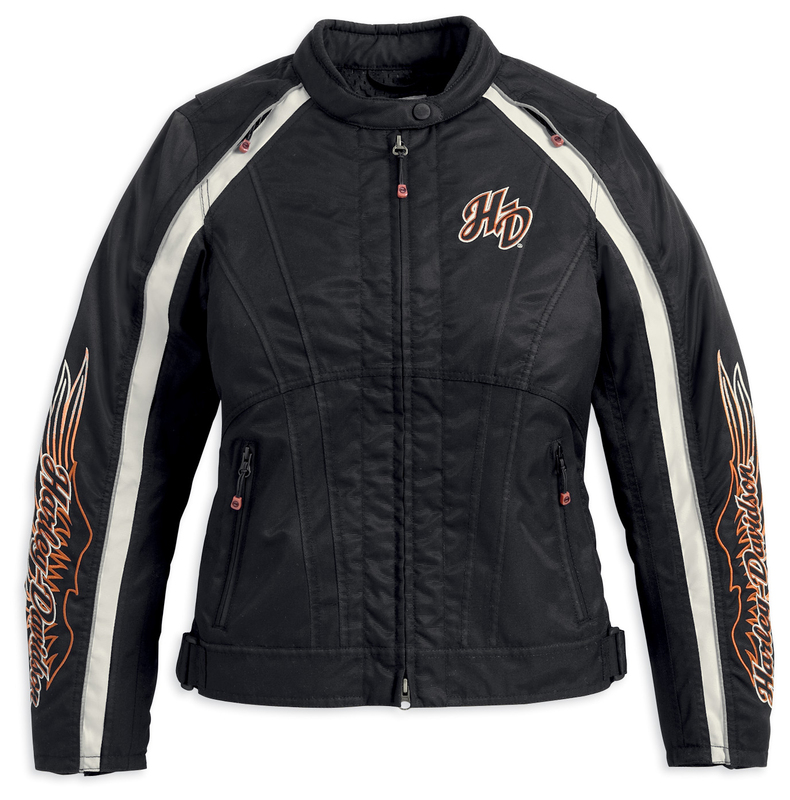 The Juneau Functional Jacket is available now at most Harley-Davidson dealerships. For additional information on Harley-Davidson MotorClothes Apparel and Collectibles, see your local Harley-Davidson dealer or visit harley-davidson.com. To find a dealer near you, call 1.800.LUV.2RIDE in the U.S. or Canada.